Walkers may find the Kakao Map application rather useful for following the trail around Jeju Island. 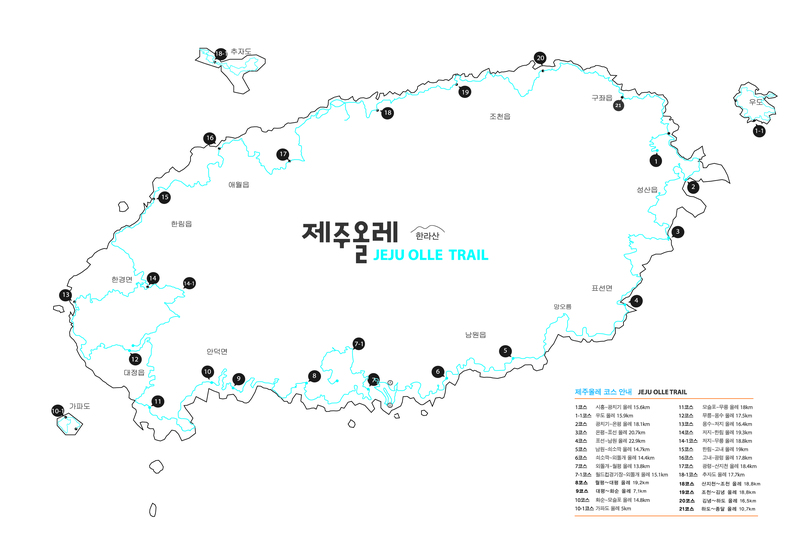 Jeju Olle Trail is a BLUE DOTTED LINE or ORANGE DOTTED LINE (wheelchair accessible) in the application. So if you have a wi-fi egg or a data connection on your device you’ll be fine. We also had a suggestion from a walker about using NAVER Map for finding accommodation along the trail. Apparently you can search guesthouse, minbak, or pension, in English near your location and it will translate that into Korean and suggest nearby places to stay.